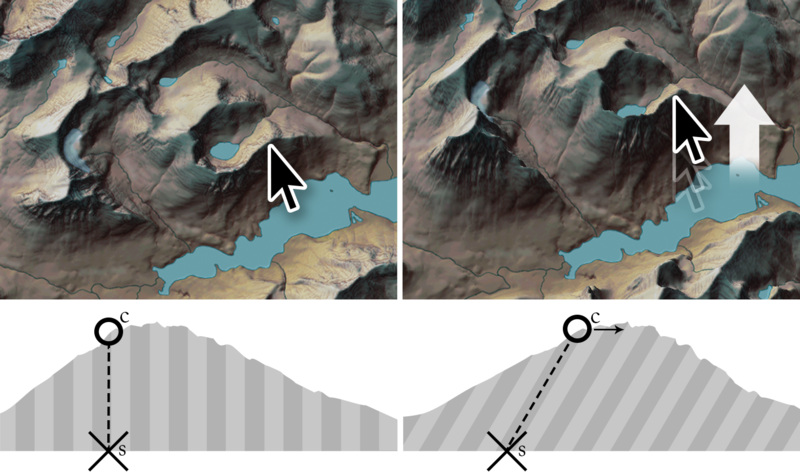 We explore interactive relief shearing, a set of non-intrusive, direct manipulation interactions that expose depth and shape information in terrain maps using ephemeral animations. Reading and interpreting topography and relief on terrain maps is an important aspect of map use, but extracting depth information from 2D maps is notoriously difficult. 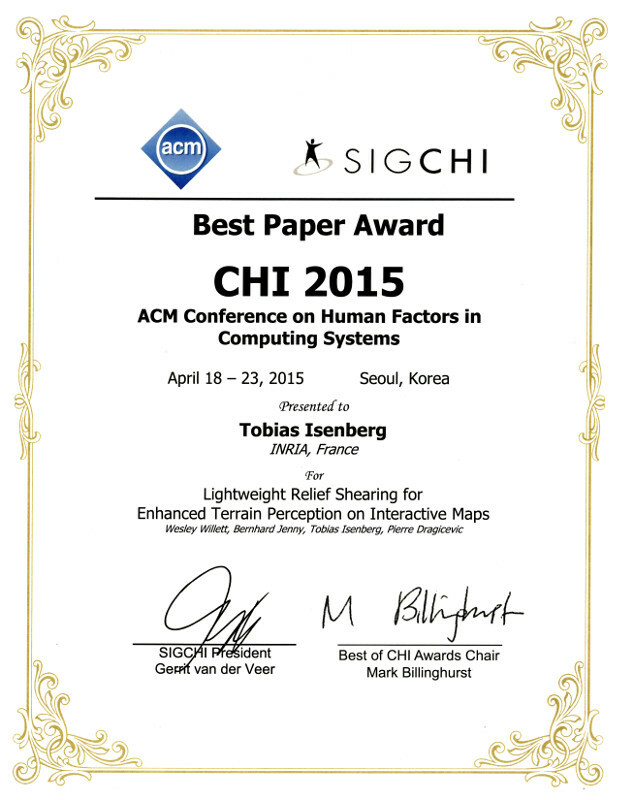 Modern mapping software attempts to alleviate this limitation by presenting digital terrain using 3D views. However, 3D views introduce occlusion, complicate distance estimations, and typically require more complex interactions. 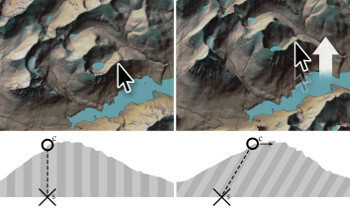 In contrast, our approach reveals depth information via shearing animations on 2D maps, and can be paired with existing interactions such as pan and zoom. We examine explicit, integrated, and hybrid interactions for triggering relief shearing and present a version that uses device tilt to control depth effects. Our evaluation shows that these interactive techniques improve depth perception when compared to standard 2D and perspective views. This work was done as a collaboration between the AVIZ project group of Inria, France, and the Geosciences department of Oregon State University, USA. Also see the project page at Oregon State University.